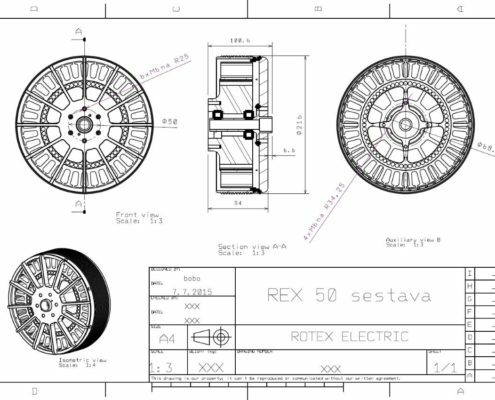 Motor REX 30 is designed for direct drive paraglide, hang glider and other aplication with 1.3m propeller. 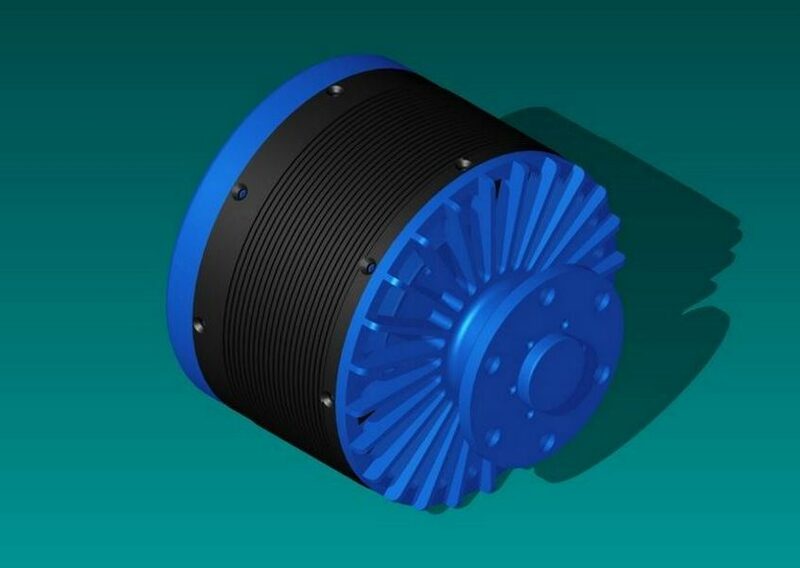 Due small dimension and high torque can provide continuous power 15Kw and 18Kw for shor time. 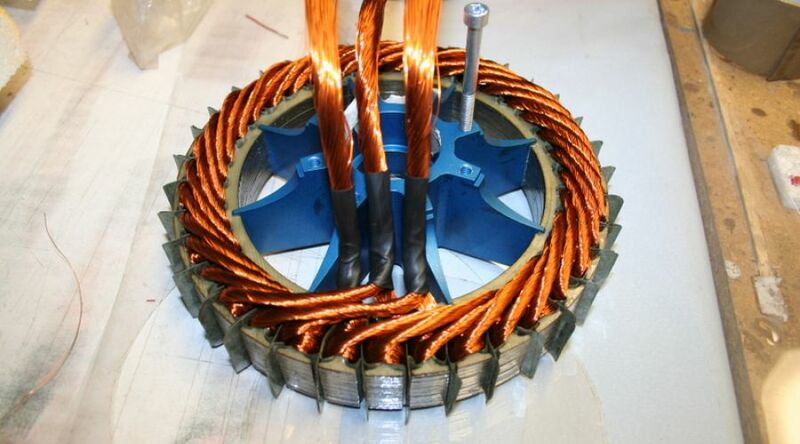 Motor have integral Hall and temperature sensor and is designed as air cooled for air aplications. 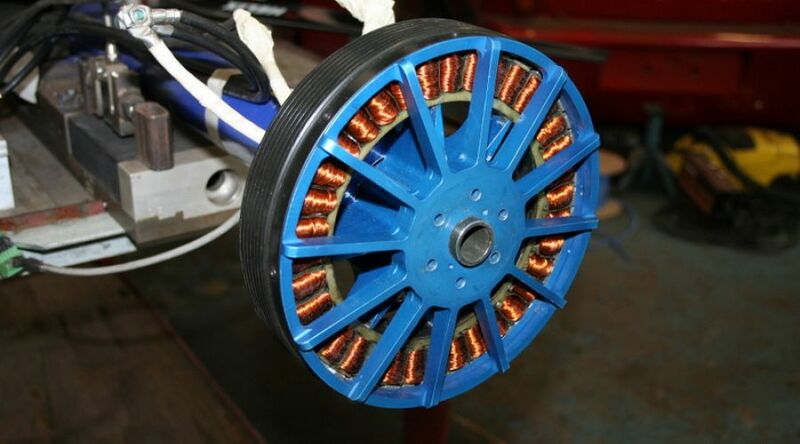 Ideal for this motor is 2200-2500RPM at 50V. 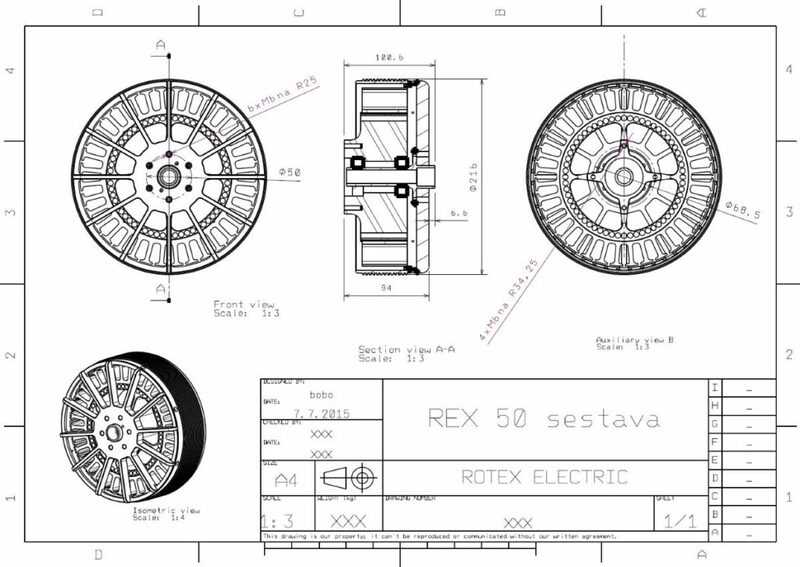 Motor REX 60 is designed for direct drive small plane with 1.4-1.5m propeller at 100-120V. 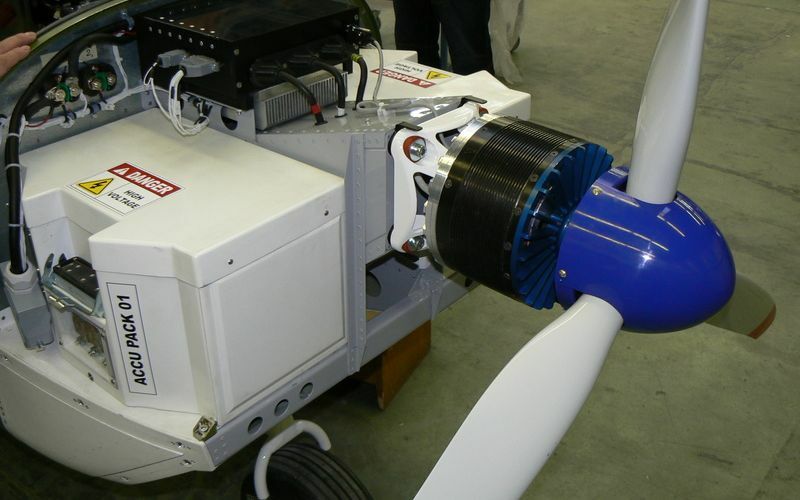 Due small dimension and high torqude can use as “Power unit ” or “Self-launcher” for sail plane . 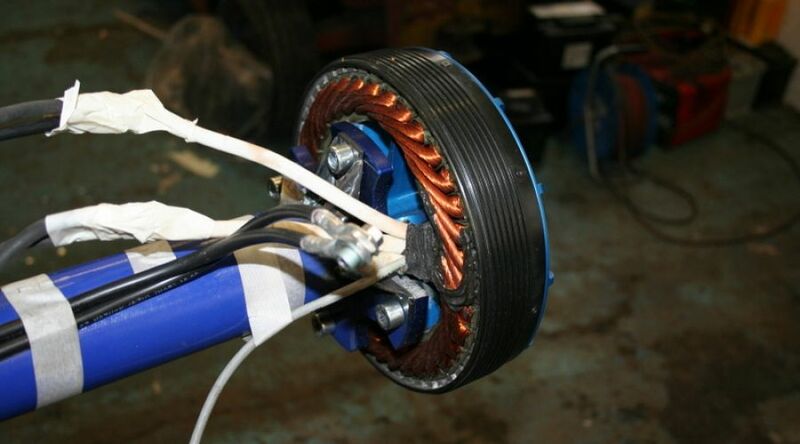 Motor have integral hall and temperature sensor and is designed as air cooled for air and mobile aplications. 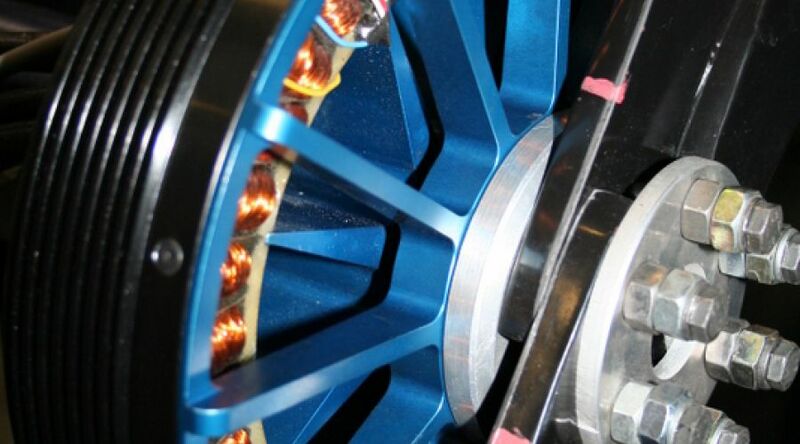 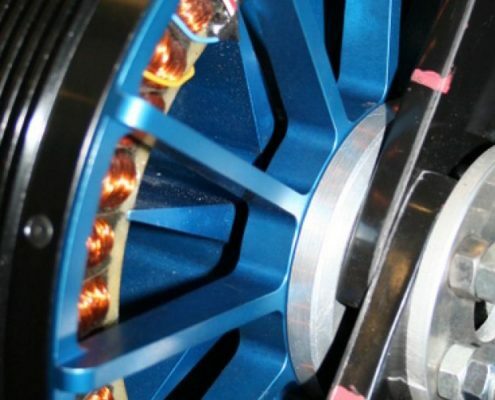 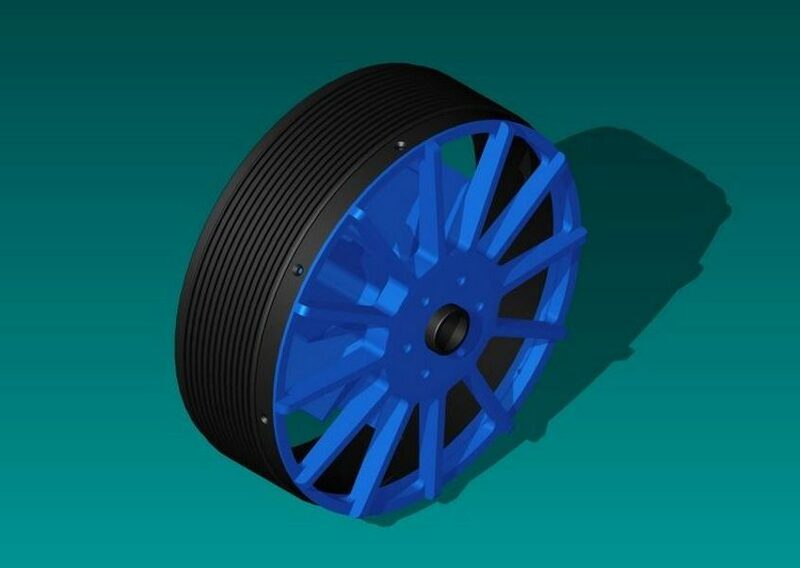 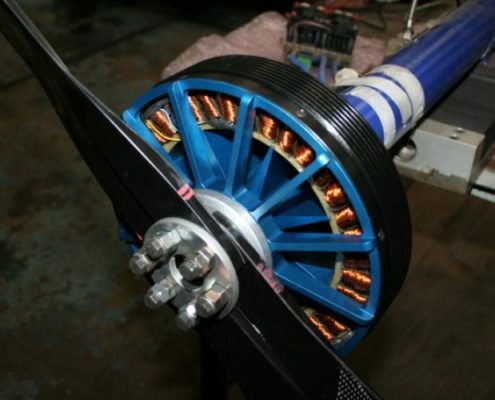 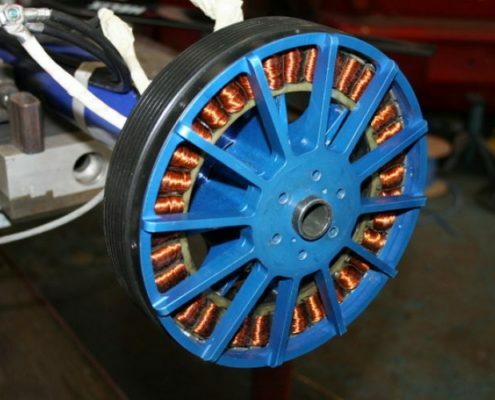 Maximum continuous power for this motor is 20Kw and 25 Kw for shor time. 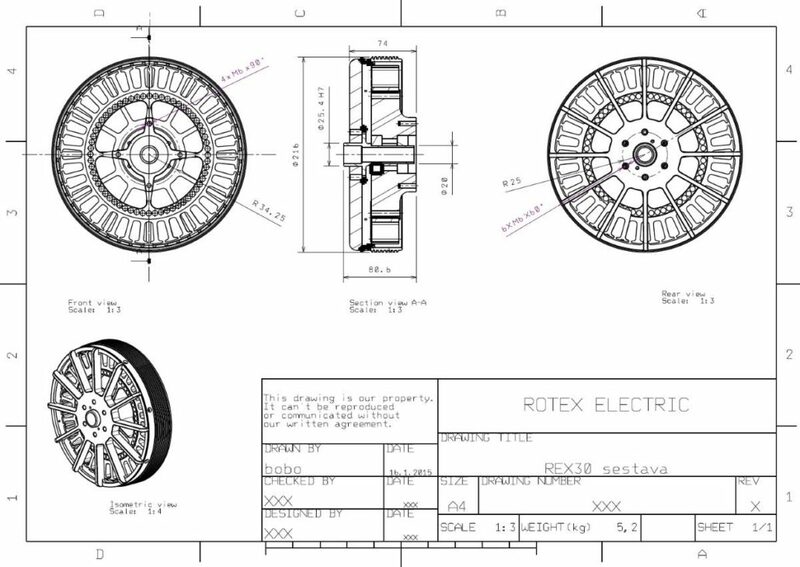 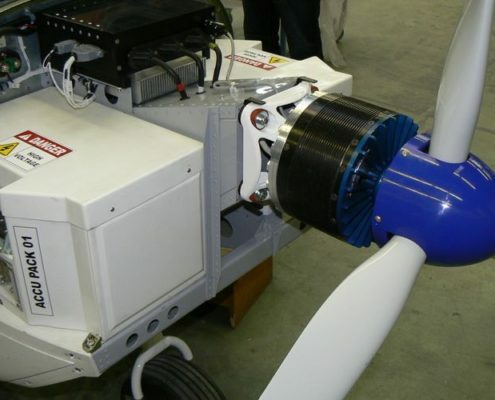 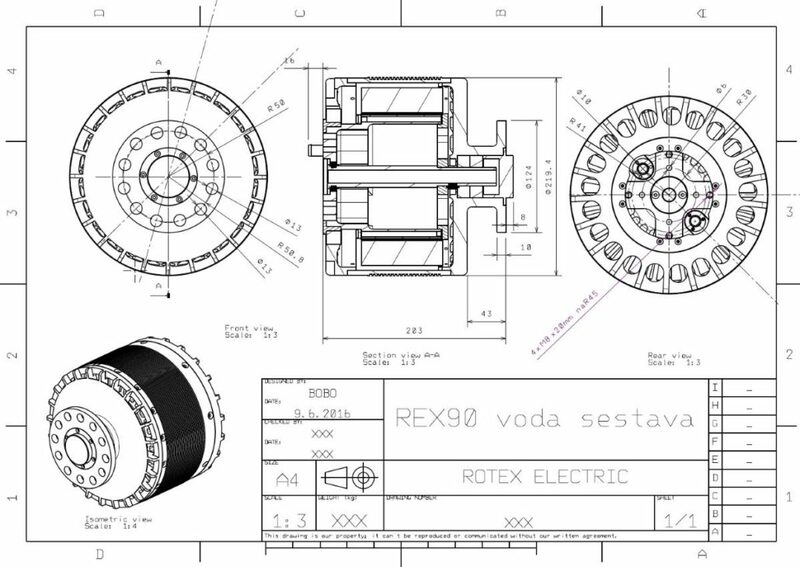 Motor REX 90 is specialy designed for project EPOS ( Electric Powered Small Aircraft). 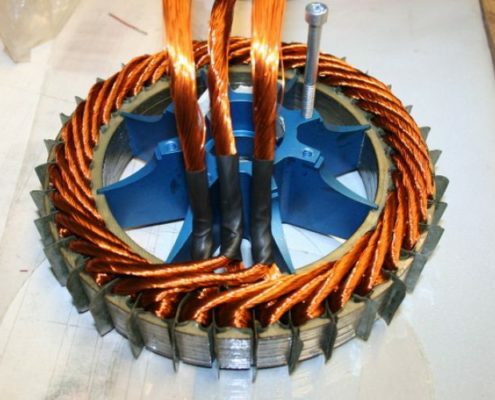 Working voltage is 250-360V and maximum power is 60Kw. 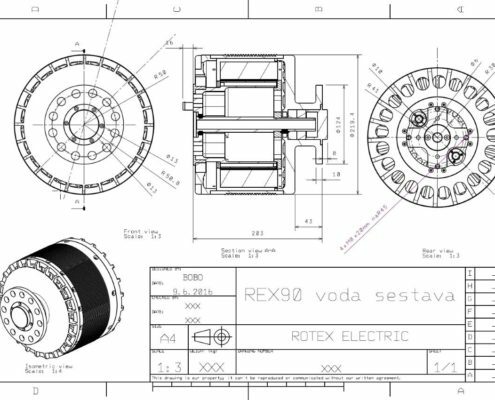 Motor work at 1800-2300RPM. 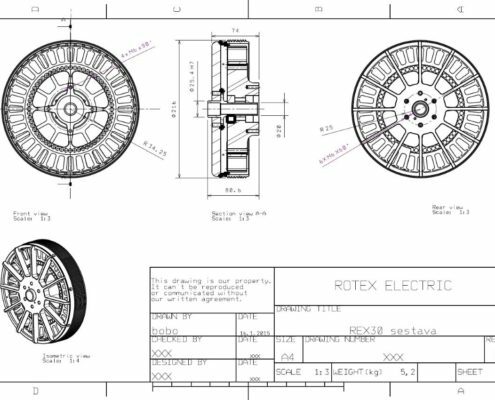 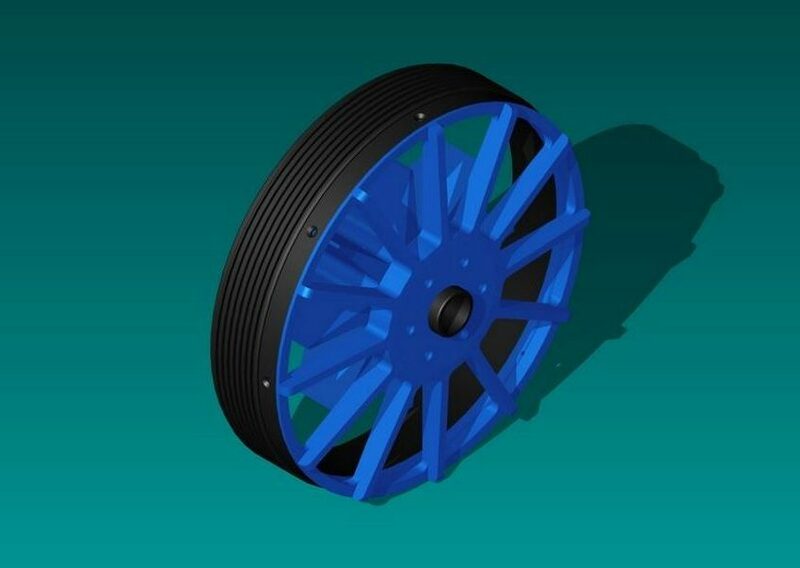 Due compact design and internal prop adapter is intended as replacement 60Kw Rotax motor. 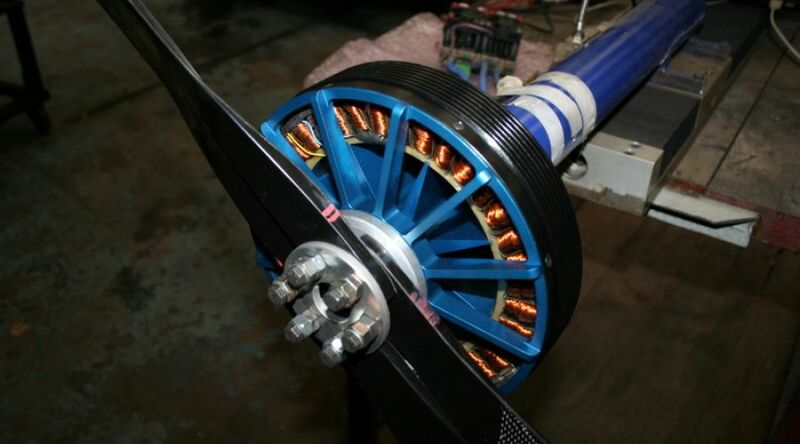 Motor is air cooled but we prepare watter cooled versin. 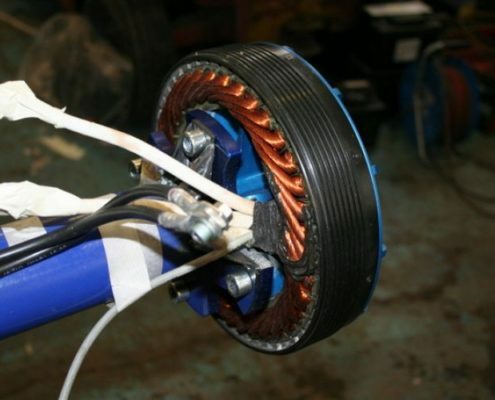 Motor have integral hall and temperature sensor.